Roy Debnam, Financial Guidance Co-ordinator has died aged 70 years following a short illness. Roy Debnam, Financial Guidance Co-ordinator at ellenor has died aged 70 years following a short illness. 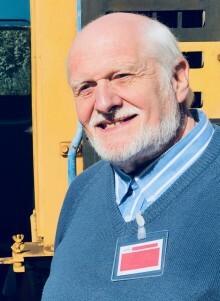 All the staff and volunteers at the charity were saddened to hear the news; he was a much loved member of the team having given more than 30 years’ service to ellenor. Ex-paramedic Terry talks to us about the value of our Bereavement Cuppa group. 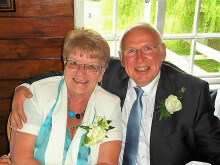 Terry experienced unexpected bereavement and hopes his story will benefit both men and women. This Christmas, remember a loved one or those no longer with us, with a bespoke gold or silver charm designed exclusively for ellenor, so you can wear your memory and show your love.